Hernandez, Carlos of Winthrop passed away peacefully at the Massachusetts General Hospital on September 3rd. Beloved husband of Dolores Perez of Winthrop. Devoted father to Daniela Hernandez Perez. Family and friends will honor Carlos by gathering at the Ruggiero Family Memorial Home 971 Saratoga Street East Boston on Friday September 7th from 4:00PM to 8:00PM and again Saturday morning at the Most Holy Redeemer Church 65 London Street East Boston for a 10:00AM mass celebrating Carlos's life. 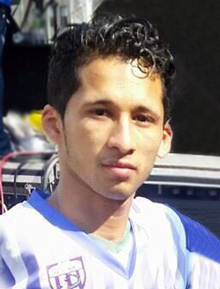 Carlos will be laid to rest in El Salvador.